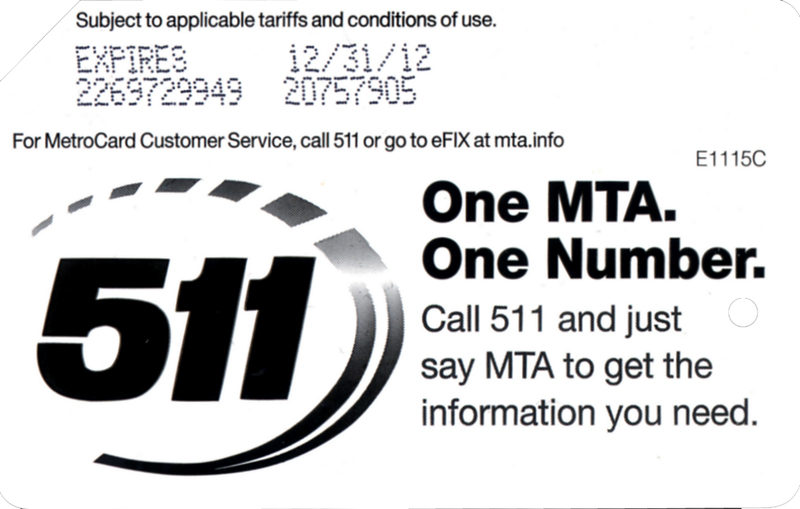 NYC Transit Metrocard Unofficial Web Site · 511. One MTA. One Number.